Tesla reported a strong Q3 for deliveries, with 83,500 vehicles produced. Analysts aren’t yet overly concerned about Tesla overproducing for the US market, an inversion of the worry they usually have for established automakers. As Tesla intensifies US production, it has started to talk more about a China factory and growth in that market for its future. Tesla just reported its biggest-ever quarter for vehicle deliveries. The company sold 83,500 cars in the third quarter and was quick to cite that impressive number against its entire 2017 total of about 100,000 vehicles. Meanwhile, the rest of the automakers who sell vehicles in US are reporting September sales (GM, like Tesla, will report quarterly numbers). As an example, let’s look at Ford. The Detroit carmaker sold almost 200,000 vehicles in the US alone in September – and that was a big drop-off from the same month last year, when the aftermath of Hurricane Harvey led consumers to replace damaged or destroyed vehicles in Texas. 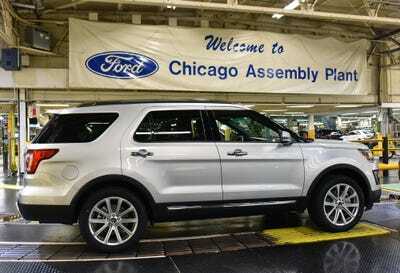 Nevertheless, it was a relatively solid month for Ford, the latest in a long, long series of solid months. But the contrast between Ford and Tesla – and by the way, Tesla some time back topped Ford in market-cap value – represents an interesting inversion. Typically, nobody worries much about whether a carmaker can produce enough vehicles to meet demand. They can all make enough cars and trucks to meet demand, and even when they can’t, they have various ways to make up for the shortfall. FordAn SUV at a Ford factory. What analysts do worry about is overproduction, as measured by unsold inventory or “days supply.” In September, Ford dealers had about a two-month supply of vehicles, which isn’t alarmingly high. You can tell because Ford’s average transaction price went up $US1,500 in September, indicating that Ford is stretching profits on pickups and SUVs by selling more premium trim-levels and features, and dealers aren’t having to slash prices to shed unwanted inventory. Because Tesla is now selling a lot of Model 3 sedans, the company has likely seen its pricing drop from an average of around $US100,000 – for the high-end Model S and Model X – to something around $US60,000 (but maybe more) for the new car. As a result, Tesla has to push for higher production to post enough sales to mint a profit for Model 3. In case you were wondering, this is why CEO Elon Musk highlighted logistic problems toward the third quarter’s close. Tesla’s channels we’re ready to deal with such a massive influx of inventory. 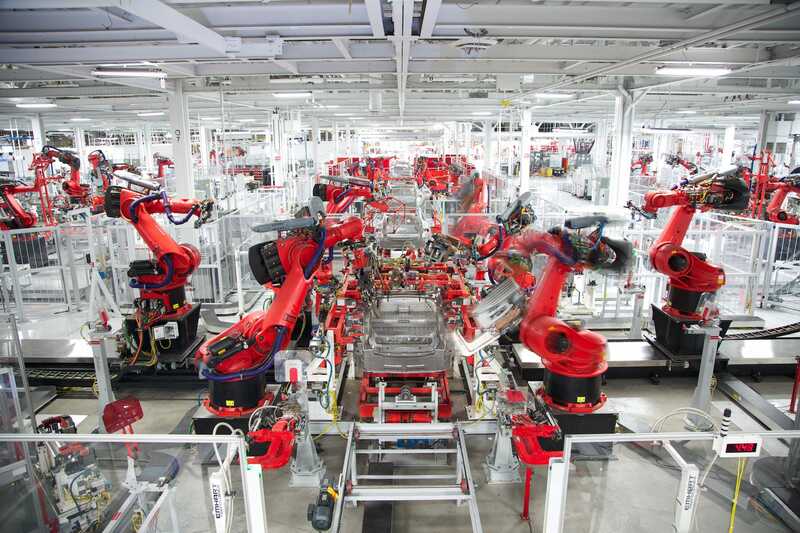 The misalignment between Tesla and the rest of the car business isn’t going to persist. Tesla does have a lot of unmet demand for the Model 3, but at its current production rates, it won’t be unmet for long. Just look at Ford – taking fleet sales out of the September mix, Ford sold about 150,000 vehicles to its retail channels. 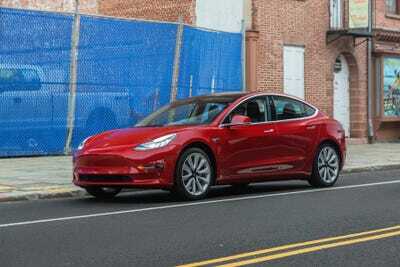 In about four months, Ford could satisfy Tesla demand levels. Tesla, too, will develop the capacity to meet demand and then have to be wary about overproduction. Tesla is now operating at a 55% to 60% cost disadvantage compared to the exact same car locally produced in China. This makes for a challenging competitive environment, given that China is by far the largest market for electric vehicles. To address this issue, we are accelerating construction of our Shanghai factory, which we expect to be a capital efficient and rapid buildout, using many lessons learned from the Model 3 ramp in North America. If Tesla were to add capacity in the US, it might run smack into serious inventory issues and undermine any hopes it has for steady profits. That’s why China is the market to watch for Tesla from here on out.